After several years of uncertainty and tweaks to the ordinance that were costly and sometimes hard to comply with, along with issues in various neighborhoods, the cannabis community was confused and the anti cannabis folks were fed up … both side’s feelings understandable. The saga continues. 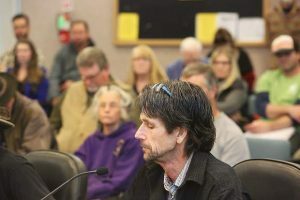 The Nevada County Board of Supervisors imposed an emergency ordinance to ban outdoor cultivation and commercial activity. Many in the general public, lead by the cannabis community and patient advocates, spoke up opposing. The board decided to put it a vote of the people, costing taxpayers approximately $70,000. Measure W, as quoted in The Union, June 20, 2016, “Measure W, if passed, would have implemented a voter approved outdoor medical marijuana grow ban and limited indoor grows to 12 plants. 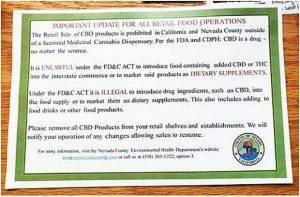 It would have restricted growers to qualified patients or their caregivers, and prohibited all commercial marijuana activity. In November, Prop 64 the Adult Use of Marijuana Act passed in California by 52.9 percent and in Nevada County by 52.1 percent. The supervisors approved a contract with a consultant “to facilitate an independent and impartial process of gathering community input regarding the development of long-term cannabis regulations.” The Community Advisory Group of 14 was selected by the mediator. In May, the supervisors added two additional members, totaling 16. The meetings began in late May, ending in December after adding two additional meetings. This process cost the taxpayers approximately $140,000, not to mention the hundreds if not thousands of hours spent by the paid county staff and the unpaid CAG members. The CAG presented its recommendations in January 2018. The supervisors appeared to totally ignore these expensive and time consuming information and started to construct Ban 3.0 … this includes a ban on all residential properties, including “Res Ag Rural.” This is unacceptable to me. Read the General Plan and the Right To Farm Act for more. This is a brief overview with as little interjection of my personal views and emotions regarding the issue, the process and the lack of leadership as possible. Personally, mainly as a patient advocate and additionally a supporter of some amazing entrepreneurs in this new industry, I am extremely disheartened by where we are today. If you voted “no” on Measure W, take a look at this history and if you are not happy with where we are, please speak up. Lives are literally in the balance. Dawna Johnson lives in Grass Valley.